Group Visits at Elizabethan House Museum01493 745526work Group VisitsThe Elizabethan House in Great Yarmouth, is pleased to welcome visiting groups and provides a range of group friendly rates/incentives to enhance your stay. Visit the Elizabethan House Museum and stroll through the atmospheric period rooms in this former home of a Tudor merchant. 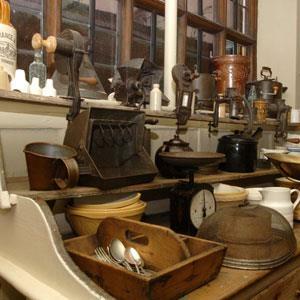 Discover Victorian life 'upstairs and downstairs' and see what it was like to work in the kitchen and scullery. Visit the Conspiracy Room and decide for yourself whether the plot to execute Charles I was hatched here. Try on Tudor costumes and enjoy the activity packed toy room. Special rates available for groups of 10+: Adults £4.50 Concessions £4.30 Children under 18 £3.60 Group leaders FREE pre-booking preferred , please telephone Pat O'Grady on 01493 743943 for further details. The Elizabethan House in Great Yarmouth, is pleased to welcome visiting groups and provides a range of group friendly rates/incentives to enhance your stay.